She may not want it, but Amber Rose definitely needs to get some good fashion advice! Kanye West and his current girl friend were seen (A LOT) at the Chanel Spring-Summer 2010 fashion show in Paris this week. The couple is already striking without having to wear outlandish outfits but I guess their personalities required them to put on “unique” clothing. That’s the couple when they arrived at the show. I must say Kanye looks pretty good and Amber…well, it doesn’t look half bad but I think it’s more interesting than fashionable. What’s up with the hood??? Now how about this picture? Again, Kanye looks pretty decent. As for his companion, what the heck was she thinking? I simply do not get the dress. The undergarment looks off as well. I think the coat may have some redeeming value, don’t you think? 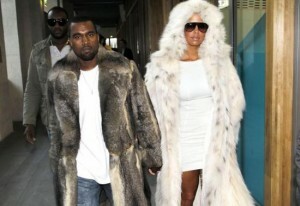 Um, honestly, I don’t have the hots for Kanye but moral issues aside, I think his coat actually looks good. As for Amber, again it’s a major fail. Ooops, do I hear sirens?